Each year, Bridgeport residents are transformed into volunteer policemen. 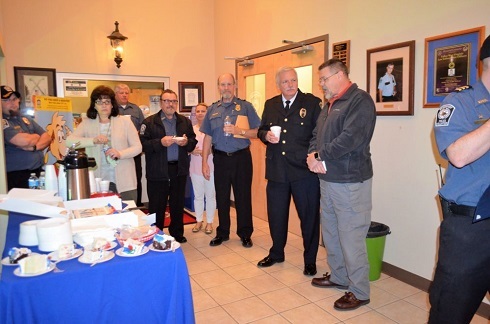 These "VIPS" members serve the community through neighborhood patrol, manning special events and performing administrative duties such as statistical data entry, fingerprinting and micfofilming. 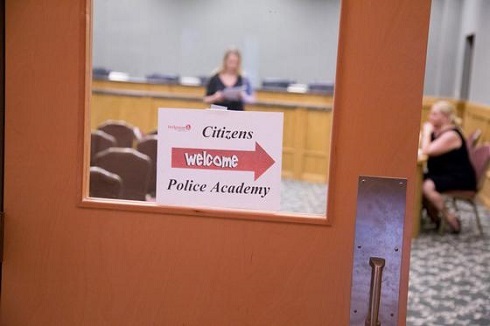 Training starts with participation in the Citizens Police Academy, which kicks off in mid-March. There is no charge to attend this free, hands-on inside look into the duties, responsibilities, methods and daily happenings of Bridgeport Police Department. After completing the eight-week academy, those individuals aspiring to become VIPS receive additional training, the VIPS Certification Course which follows. Registration is currently open for Bridgeport Citizens Police Academy which runs March 15 through May 3 at Bridgeport City Hall. Two-hour sessions are held weekly, with a different focus each week. Kerry Hess of Bridgeport VIPS said although the academy is the first step in becoming a VIPS member, many citizens enroll in the academy just to learn more about the city and municipal law enforcement. That is certainly invited and encouraged, whether an individual attends all eight sessions or chooses which ones are of interest to him or her. To become a member of VIPS, individuals must be 18 years of age or older and live and/or work in Bridgeport. The VIPS Certification Course which follows Citizens Police Academy targets law enforcement more specifically. The May 10 opening course will deal with Police Cruiser Operation. May 17 will focus on Police Radio Operations/Fingerprinting and on May 24, participants will take a tour of the Harrison County 911 Center. May 31 will feature First Aid and CPR. A tour of the North Central West Virginia Jail will follow on a yet-to-be-announced date and graduation for the VIPS Certification Course will take place June 11. To register to attend sessions or inquire about sessions and/or inquire about becoming a member of VIPS, contact Bridgeport Police Officer Bart Sayers at 304-842-8260 or csayers@bridgeportwv.com. Pictured left/cover is Bridgeport Police Officer Bart Sayers, pinning a new member of the city's Volunteers in Police Services "VIPS" after completing the 2016 Citizens Police Academy and additional VIPS training.